Actor James Garner, who first found fame as a comedic cowboy in the 1950s TV series, Maverick, has died aged 86. 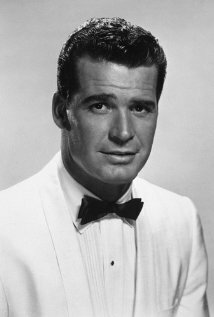 His most popular role was that of private detective Jim Rockford in the long-running series, The Rockford Files. He also made over fifty films, including The Great Escape, Victor/Victoria, Murphy’s Romance, Sunset (as Wyatt Earp) and Maverick (a big-screen remake, starring Mel Gibson.) One of Garner’s final roles was in The Notebook (2004.) He is survived by his wife of 58 years, Lois Clarke, and two daughters. 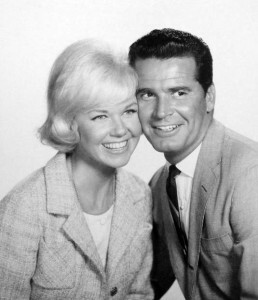 Garner is best-known to MM fans as Doris Day’s leading man in Move Over Darling, the 1963 remake of Marilyn’s unfinished last film, Something’s Got To Give. 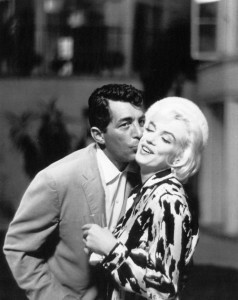 What readers may not recall, however, is that Garner was originally chosen to star alongside Monroe, as Ted Schwarz explained in his 2010 biography, Marilyn Revealed. 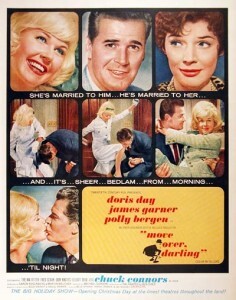 “The best part of this remake of the 1940 screwball comedy My Favourite Wife was Doris Day. I’d been slated to make it as Something’s Got to Give with Marilyn Monroe, but I did The Great Escape instead, so Dean Martin took my part. Twentieth fired Marilyn for chronic tardiness and stopped production, retitled it Move Over Darling, and made it with me and Doris. After Marilyn was fired, executives at Fox spread the rumour that her work on the film was ‘unwatchable.’ However, footage from Something’s Got to Give, uncovered in 1990, shows Marilyn looking better than she had done in years. Her screen chemistry with Dean Martin was evident, and the opening scene, in which she greets her long-lost children after being rescued from a shipwreck, ranks among her finest work.